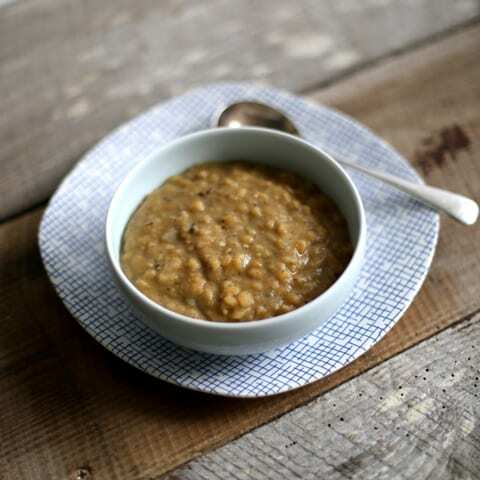 The first time I had this Split Pea and Black Pepper soup was when my good friend Lynne cooked me up a big bowl one lunchtime. I still remember being won over by the layers of flavour and heat, especially when she told me there no chilli in it, just plenty of black pepper. Whilst I adore black pepper, and we get through a bunch of it in our kitchen, I’d only ever used it as a seasoning before and never gone all out to discover its fiery nature when used in bulk. Lynne’s recipe called for lentils rather than split peas. There’s no real difference between the two, but the split peas take a little longer to cook. If you’re using lentils reduce the cooking time to 30-35 minutes. Oh, and neither lentils or split peas need soaking before cooking like other legumes. Fry the onion slowly in the oil for 5 or 6 minutes on a medium heat until softened. Add the potato, carrot and black pepper and fry for a couple minutes. Next add the split peas, garlic and stock and let simmer for 45 minutes (around 30 minutes if using lentils). 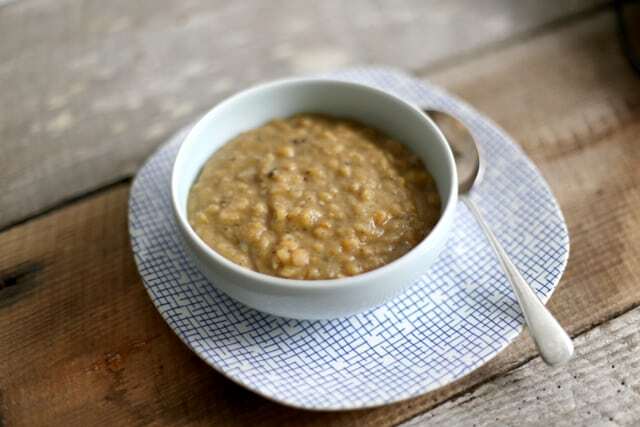 Do keep an eye on it as you may find you need to top it up with more hot water as the peas break down and thicken the soup. Season with a little salt at the end of the cooking time. I am soooooooo hungry at the moment that all I want to do is reach through the computer for a bowl of this soup Janie. I love a liberal use of pepper as a spice rather than a subtle flavouring, definitely one to bookmark to fend off the whiles of winter! Ooh this looks so yummy and warming! Thanks Kerry, it’s perfect to keep yourself toasty warm! This looks hearty and delicious perfect for the cold weather. Hope you enjoy it petal. Why was it called Thursday soup GG? Interesting, thanks for that GG. Were you born in Sweden?